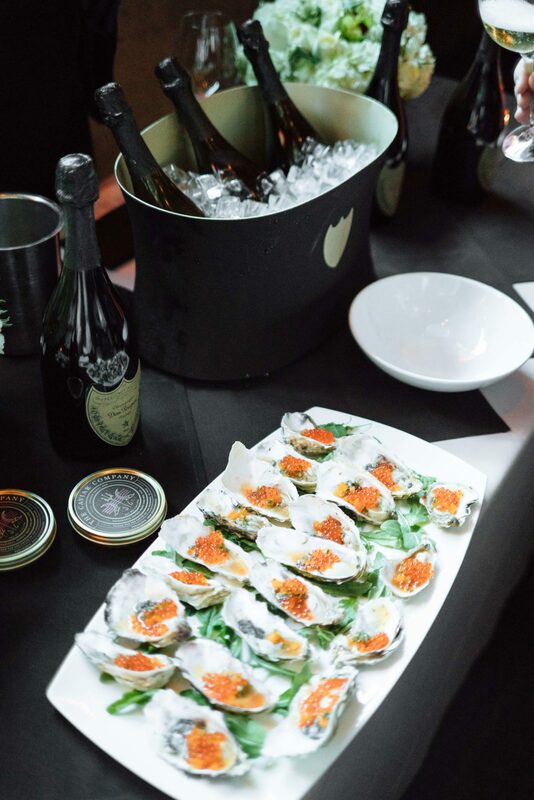 National Caviar Day is July 18th and to celebrate, our friends at The Caviar Company hosted their first annual celebration at Twenty Five Lusk, in partnership with Ruinart and Dom Pérignon. The evening was as amazing as you would expect a party with 10 pounds of caviar and multiple selections of vintage champagnes to be. We had so much fun, we wanted to share some culinary inspiration from the event. We were greeted with a glass of Ruinart Blanc de Blancs (always an appropriate greeting!) and cups of ceviche with avocado. We had never put avocado in ceviche, but we will be soon. A spoonful of caviar was beautiful against the pink fish and green avocado. How gorgeous are those free-form crisps? We loved the Ruinart Rosé, which was paired with smoked sturgeon and hackleback roe. We have access to amazing farmed sturgeon in Northern California, and a visit to a sturgeon farm is on our must-do list. It’s no secret that we are huge oyster fans, so these beautiful painted lady oysters with smoked trout roe were a welcome sight. The Dom Pérignon Vintage 2004 they were paired with was smooth, rich, and toasty. The crowd favorite snack was probably the tiny “BLT” bites with paddlefish roe that accompanied a 2004 Dom Pérignon Rosé. We learned that earthier and “muddier” caviar like paddlefish roe is a great pairing with richer ingredients like bacon because it can stand up to the bold flavor. Two more interesting discoveries from the evening: caviar “bumps” and aged Champagne. 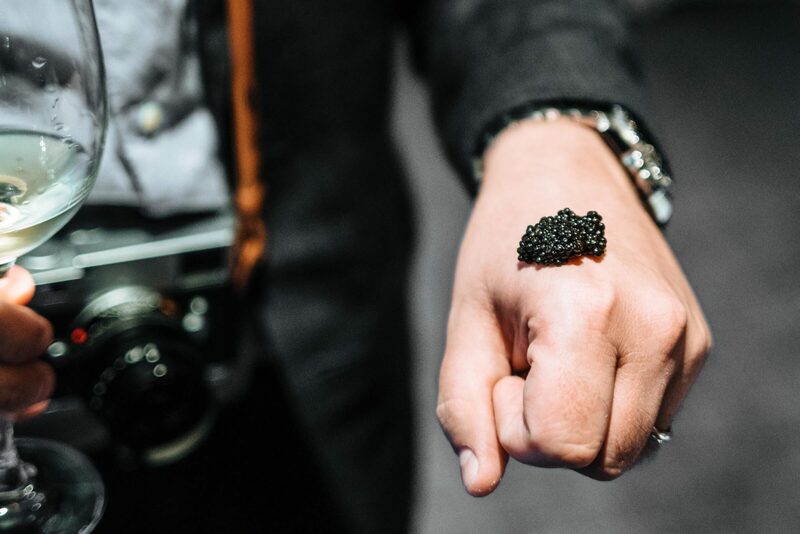 Eating caviar off the back of your hand might seem unconventional, but it does allow the flavor of white sturgeon caviar to come through without competing with other ingredients. Clayton could have eaten a whole tin of it. We also tried a Dom Pérignon P2 Vintage 1998. The champagne had been in bottle for 15 years and was still beautiful. We’ll be marking our calendars to celebrate again next year. What’s your favorite way to eat caviar?